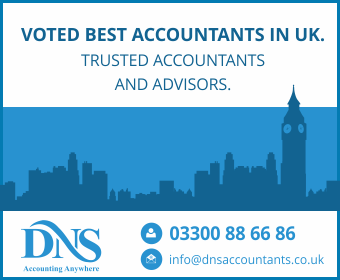 Considering the importance of accountancy every business holds, we, at DNS Associates, provide with accounting, tax planning and consultation services for companies, freelancers and contractors. Having gained a great amount of recognition along with positive feedbacks, we, here at DNS Associates have successfully provided with our services to over 1200 clients since 2005. Comprising of skilled and knowledgeable accountants, we ensure to provide quality services to our clients at various locations in England. We specialise in Limited company accounting, tax advice, tax investigation, tax planning and other accounting services. With having a great aim of saving your money and taxes following all regulations, we do ensure to provide you with highly experienced accountants for your needs. Our partners and senior staff members hold highly qualified degrees from well-accredited universities or are a part of professional bodies in the field of accounting, like the ACCA and the CIMA. The town of Slough has accountants from our organisation, providing the best services to our clients in Slough. Similarly, Harrow, Reading and various others towns and cities, consist of our specialised accountants too, extending our services throughout England. Ensuring to maintain the quality of our services in anywhere in England, we, at DNS Associates, always try to keep up our reputation by the means of our services. Our services start at a minimal fee of 55 pounds + VAT per month. As per the package opted for, the services and the rates may differ accordingly. However, be it any package you choose, we do serve you with the quick and timely completion of the tasks, avoiding any probable penalties that could be faced by you or your organisation. Making your work hassle-free is what we aim and look for. Slough is a town situated in Berkshire, around 30 km from London. This town has been a major location for businesses to flourish for centuries. It houses the Slough Trading Estate, which is the largest industrial estate for a single private ownership in Europe. Brickfield and agriculture used to be the major businesses in the town about two centuries ago. However, with the progress in time, Slough has seen major changes in its industries. With a never decade, there was a drastic shift in the type of industry that flourished in this town. Moreover, this city is said to have had a line of business in the manufacturing sector. However, the past two to three decades have resulted in a massive decline in the manufacturing sector and seen a tremendous growth in the information-based industries. The traditional types of businesses that are found in this town currently are telecommunications, IT services, Pharmaceutical Research and Development, and Software Development. However, there are a few manufacturing, construction and finance companies that continue to comprise the market structure of Slough. Companies like AP Films, Mars UK, Celltech, Network-I, Logicalis, Hospedia, Graviner, and many others, are the popularly known enterprises that operate in Slough at an enormous scale. - Corporate finance being the primary specialisation along with tax accounting in different areas, chartered accountants in Slough help with accounting and other accounting related activities. The accountants on Farnham Road in Slough, as well as other areas, provide with skilful and proficient work and ensure the timely submission of the assigned work – be with accounting or making a report. Completely dedicated to the work they do, our team makes it a compulsion of not causing any troubles in your work and business. Using the advanced level of skills our staff possesses, we, at DNS, always provide you with the best of the best. Our people holding accounting jobs in Slough are undoubtedly people with high-level degrees or members of professional bodies, like in any other town or city. We do provide all other kinds of services as well, in the town of Slough. However, chartered accountants remain the most demanded and preferred service personnel in the town. Accountants in Windsor, Coventry, Reading and many other cities even specialise in different fields like tax accounting. Thus, there are a greater number of such accountants found in those parts of England. Auto Enrolment is the compulsion that employers in the UK hold, to provide with pension benefits to all its employees. This rule has been implemented in the UK to ensure that no employee is denied from being paid with his pension benefits. However, there are eligibility criteria to be maintained, for an employee to gain this extra benefit from the employer. The process of Auto Enrolment involves various processes which are to be complied with. Further, if a company fails to provide with pension benefits to its employees, the company may then be imposed with a substantial penalty of 2500 pounds per day. Thus, DNS Associates ensure that all your legal work related to Auto Enrolment is done on a regular basis within the given time frame following all kinds of regulations. In other words, your burden of the risk of penalties is brought down by this service of ours. Once all these stages are adhered to, the company receives a “certificate of incorporation”. We, at DNS Associates, ease your work by taking up the task for the formation of your company at a minimal fee of 150 pounds inclusive of VAT and payroll registration. With extending our services of our accountants in Slough as well as other areas, various important aspects of a company are taken care of by us, ensuring you comfortable and hassle-free environment. Slough has accountants of different fields from our organisation. However, Windsor, Maidenhead, Egham, Harrow, Woking, Wembley and many other towns have witnessed accountants from us specialising in a greater number of fields as of those found in the town of Slough. However, as time proceeds further, so does our level of services, and thus, slowly and steadily, our extended and different services are finding expertise even in Slough. Ensuring an exhilarating service from our side, the disappointment of any kind is highly against our ideologies.